HERA Women’s Health Foundation: The mission of the HERA Women’s Cancer Foundation is to stop the loss of mothers, daughters, sisters, grandmothers, aunts, wives, partners and girlfriends from ovarian cancer through empowering: (1) women to take control of their health; (ii) research scientists to find new directions in early detection, treatment, and prevention; and (iii) communities to provide support. Hope For Heather Foundation: The Hope for Heather Foundation is a not-for-profit 501(c)(3) agency in memory of Heather Weeks, who lost her life to ovarian cancer at age 24. Heather was an advocate for women’s cancer and committed to raising funds to find a cure. The foundation’s mission is to raise funds to support ovarian cancer research, to promote education and awareness, and to help to provide comfort to women and their families devastated by cancer. Kaleidoscope of Hope: The mission of the Kaleidoscope of Hope Foundation (KOH) is to raise funds for ovarian cancer research and increase awareness of the symptoms of this silent disease. Lynne Cohen Foundation For Ovarian Cancer Research: The Lynne Cohen Foundation for Ovarian Cancer Research is an organization created in memory of a woman who dedicated her life to the well-being of others. The foundation mission is to continue her spirit of giving by supporting groundbreaking research to improve the survival rates for women with ovarian cancer. National Ovarian Cancer Coalition (NOCC): The National Ovarian Cancer Coalition (NOCC) raises awareness about ovarian cancer and promotes education about this disease. Committed volunteers continue to build a network of NOCC Divisions throughout the country to advance the ovarian cancer awareness movement in local communities. In September, NOCC sponsors an aggressive national public information campaign for Ovarian Cancer Awareness Month. The NOCC has a toll-free number for information, referral, support, and education about ovarian cancer. The NOCC also offers support groups, a national newsletter, a link to a database of gynecologic oncologists searchable by state, and educational materials on issues such as symptoms, risk factors, and treatment. The Coalition provides Continuing Medical Education programs for physicians and health care professionals. A limited selection of Spanish-language publications is available.(1-888-682-7426). Ovarian Cancer National Alliance (OCNA): The Ovarian Cancer National Alliance (OCNA) works to increase public and professional understanding of ovarian cancer and to advocate for research to determine more effective ways to diagnose, treat, and cure this disease. The Alliance distributes informational materials; sponsors an annual advocacy conference for survivors and families; advocates on the issues of cancer to the ovarian cancer community; and works with women’s groups, seniors, and health professionals to increase awareness of ovarian cancer. The Ovarian Cancer National Alliance Clinical Trials Matching Service provides a way for women to find and link to clinical trial options for ovarian cancer. The Service is available by calling 1-800-535-1682 or through the Alliance’s Web site under Clinical Trials. The Ovarian Cancer Research Fund is the largest private funding agency supporting ovarian cancer research. Ovarian Cancer Research Fund: The mission of the Ovarian Cancer Research Fund is to fund research to find a method of early detection and ultimately a cure for ovarian cancer. In support of our mission, we help patients and their loved ones understand the disease and its treatment, and provide outreach programs to raise public awareness. Ovations For the Cure of Ovarian Cancer: Proliferation of broad-spectrum awareness of the risk factors and subtle warning signs of ovarian cancer; funding of new and ongoing research initiatives through organizations such as the Dana-Farber Cancer Institute’s Gynecologic Oncology Program, among others; and provision of an uplifting support network for patients and their caregivers (1-866-920-OFTC (6382)). American Cancer Society (ACS): The American Cancer Society (ACS) is a nationwide, community-based voluntary health organization. The ACS offers a variety of services and programs for patients and their families. The ACS also supports research, provides printed materials, and conducts educational programs. Staff can accept calls and distribute publications in Spanish. A local ACS unit may be listed in the white pages of the telephone directory under “American Cancer Society” (1·800·ACS·2345). American Institute for Cancer Research: Since its founding in 1982, the American Institute for Cancer Research has grown into the nation’s leading charity in the field of diet, physical activity and weight management as it relates to cancer prevention. AICR supports research into the role of diet and physical activity in the prevention and treatment of cancer. It also offers a wide range of cancer prevention education programs. By adopting AICR Recommendations for Cancer Prevention, scientists estimate the risk of cancer can be reduced by about one-third. Cancer Index – Guide To Internet Resources for Cancer: The Guide to Internet Resources for Cancer is the gateway to cancer information on the Net since 1996. This non-profit guide contains over 100 pages and more than 4,000 links to cancer related information. It is regularly updated and links are periodically verified using a link-checker. Cancer.Net™: Trusted information from cancer experts at the American Society of Clinical Oncology. Gynecologic Cancer Foundation: The Gynecologic Cancer Foundation (GCF) was established in 1991 by the Society of Gynecologic Oncologists (SGO) to promote public awareness about the prevention, early detection and treatment of gynecologic cancers. SGO, with approximately 1,200 members, is the only national professional organization for gynecologic oncologists. All SGO members are members of the Foundation. In addition to engaging in public education, GCF also supports research and training related to gynecologic cancers. GCF is a 501(c) 3 not-for-profit organization that advances its mission by increasing public and private funds that aid in the development and implementation of programs to meet these goals. Collaborative programs with gynecologic cancer advocacy organizations facilitated by GCF Allied Support Group, consisting of 31 national organizations committed to women’s gynecologic health. Founded in 1997 by cancer survivor and champion cyclist Lance Armstrong, the LAF is a registered 501(c)(3) nonprofit organization located in Austin, Texas. Address: The Lance Armstrong Foundation, P. O. Box 161150, Austin, TX 78716-1150, (512) 236-8820. National Cancer Institute: The National Cancer Institute (NCI), part of the National Institutes of Health in Bethesda, Maryland, coordinates the Nation’s research program on cancer prevention, detection, diagnosis, treatment, rehabilitation, and control. NCI was established by Congress in 1937, and its programs were intensified in 1971 after passage of new legislation called the National Cancer Act. As a result of the 1971 legislation, the NCI has built a network that includes regional and community cancer centers, physicians who are cancer specialists, cooperative groups of clinical researchers, and volunteer and community outreach groups. NCI also has initiated cancer control programs to hasten the application of knowledge gained through cancer research. NCI has developed research programs supported by an infrastructure for discovery composed of support mechanisms, organizations, and networks that link scientists, facilities, and information. This is the underpinning for activities that encompass all aspects of cancer prevention, detection, diagnosis, treatment, control, and survivorship. The infrastructure supports basic, translational, and clinical cancer research, and each year the efforts of thousands of scientists supported by NCI’s infrastructure yield scientific advances in all areas of cancer research. The National Cancer Institute is located at 9000 Rockville Pike, Bethesda, MD 20892. OncoLink: OncoLink was founded in 1994 by University of Pennsylvania cancer specialists with a mission to help cancer patients, families, health care professionals and the general public get accurate cancer-related information at no charge. Through OncoLink you can get comprehensive information about specific types of cancer, updates on cancer treatments and news about research advances. OncoLink updates the information everyday and provides information at various levels, from introductory to in-depth. Women’s Cancer Network: The mission of the Women’s Cancer Network (WCN) is to keep women informed and to enable them to be their own health advocates. The Women’s Cancer Network was developed by The Gynecologic Cancer Foundation (GCF). The WCN is an interactive web site dedicated to informing women around the world about gynecologic cancer. WCN’s goal is to assist women who have developed cancer, as well as their families, to understand more about the disease, learn about treatment options, and gain access to new or experimental therapies. About Herbs, Botanicals & Other Products – Memorial Sloan-Kettering Cancer Center: This information resource, presented by the Integrative Medicine Service of Memorial Sloan-Kettering Cancer Center, provides evidence-based information about herbs, botanicals, supplements, and more. Acupuncture.com: – Gateway to Chinese Medicine, Health & Wellness: Acupuncture.com is the gateway to chinese medicine, health & wellness. The organization’s mission is to provide a growing and improving resource for the Tradition Chinese Medicine community. ACUXO – Acupuncture Research and Resource: Acuxo.com (pronounced “ak . you . eks. oh”) is the number one online acupuncture resource on the Internet. Borne from university research, acuxo.com has been one of the most visited acupuncture web sites for many years and has garnered many prestigious awards. Most recently, acuxo was awarded a National Institutes of Health (NIH) research grant to for further development of the Acupuncture Decision Engine. Complementary & Alternative Medicine Index – Univ. of Maryland Medical Center: This index provides an introduction to Complementary and Alternative Medicine. The topics listed in the index include: Acupuncture, Aromatherapy, Ayurveda, Biofeedback, Chiropractic, Herbal medicine, Homeopathy, Hypnotherapy, Massage, Mind/body medicine, Naturopathy, Nutrition, Osteopathy, Relaxation techniques, Spirituality, Tai chi, Therapeutic touch, Traditional Chinese medicine, and Yoga. National Center For Complementary & Alternative Medicine – National Institutes of Health: The National Center for Complementary and Alternative Medicine (NCCAM) is the Federal Government’s lead agency for scientific research on complementary and alternative medicine (CAM). NCCAM is 1 of the 27 institutes and centers that make up the National Institutes of Health (NIH) within the U.S. Department of Health and Human Services. NCCAM sponsors and conducts research using scientific methods and advanced technologies to study CAM. CAM is a group of diverse medical and health care systems, practices, and products that are not presently considered to be part of conventional medicine. Advancing scientific research -NCCAM funded more than 1,200 research projects at scientific institutions across the United States and around the world. Training CAM researchers – NCCAM supports training for new researchers as well as encourage experienced researchers to study CAM. Sharing news and information – NCCAM provides timely and accurate information about CAM research in many ways, such as through the NCCAM website, information clearinghouse, fact sheets, Distinguished Lecture Series, continuing medical education programs, and publication databases. Supporting integration of proven CAM therapies – NCCAM research helps the public and health professionals understand which CAM therapies have been proven to be safe and effective. Office of Cancer Complementary and Alternative Medicine – National Cancer Institute: The Office of Cancer Complementary and Alternative Medicine (OCCAM) was established in October 1998 to coordinate and enhance the activities of the National Cancer Institute (NCI) with regard to complementary and alternative medicine (CAM). OCCAM Brochure. To order a copy of this brochure, please call, 1-800-4-CANCER. The OCCAM is administratively under the Office of the Director within the Division of Cancer Treatment and Diagnosis. OCCAM’s mission is to improve the quality of care of cancer patients, as well as those at risk for cancer and those recovering from cancer treatment, by contributing to the advancement of evidence-based CAM practice and the sciences that support it as well as the availability of high-quality information for the health care community, researchers, and the general public. The Cure Research Foundation: The Cure Research Foundation (CRF) is dedicated to the advancement of healing without drugs. CRF began in 1976 with a special focus on cancer, and its cancer division is the backbone of our current program. In March 2002, CRF decided to cover other health disorders as well. DiaTech Oncology: To measure drug-induced apoptosis (i.e., cell death), DiaTech utilizes a proprietary technology called Microculture Kinetic (MiCK) assay for apoptosis. In the MiCK assay, the tumor cells of an individual patient are exposed to multiple doses of several chemotherapeutic drugs. A sophisticated algorithm is used to monitor and compute the amounts of apoptosis caused by each of the drugs to establish a drug sensitivity profile of the patient’s tumor cells. Knowledge of a patient’s drug sensitivity profile allows the treating oncologists to prescribe chemotherapy that would be the most effective against the tumor cells of that patient. Precision Therapeutics: Every patient’s cancer is as individual as the patient involved. Precision Therapeutics (PT) recognizes the need for personalized cancer treatment. This can be enabled with ChemoFx®, a clinically proven cell-based test. PT’s mission is to support physicians in their treatment decisions and to offer an increased quality of life for people living with cancer. Precision Therapeutics also offers molecular/cellular pathway analyses through use of its BioSpeciFx® in addition to their chemosensitivity testing. Rational Therapeutics™: Using novel ex-vivo analyses (Ex-Vivo Analysis—Programmed Cell Death (EVA-PCD®) bioassay)), Rational Therapeutics (RT) examines small clusters of cancer cells or microspheroids in their native state. This “functional profiling” takes a snapshot of the cancer’s behavior in response to drugs and combinations. By analyzing tumor response in the laboratory, RT identifies which chemotherapy drugs induce programmed cell death, and also which ones do not. This analysis is designed to determine the most effective therapy for each patient based on his or her individual tumor makeup. Rational Therapeutics also offers molecular/cellular pathway analyses through its EVA-PCD TARxGET™ assay in addition to their chemosensitivity testing. Research Genetic Cancer Centre (RGCC) International GmbH: RGCC International GmbH caries out research in the areas of circulating tumor cells, cancer stem cells, chemosensitivity and resistance assay (CSRA) testing (including various natural substances and thalidomide), and gene array testing. The company is headquartered in Switzerland, with lab testing performed in Greece. Dr. Ioannis Papasotiriou is the founder of the company, which offers services to physicians, patients, and pharma R&D projects. Weisenthal Cancer Group: Functional Cell Profiling is a personalized medicine approach that tests each patient’s living cancer cells against a broad array of anti-cancer drugs and drug combinations. Weisenthal Cancer Group uses only new-generation tests which are based upon measuring cell death – a method invented by Larry Weisenthal, M.D, Ph.D.. These tests differ in many important respects from older generation tests with which your physician might be familliar. Beyond The Cure: The mission of Beyond the Cure is to help childhood cancer survivors integrate the cancer experience into their new life as survivors and successfully handle the challenges that are ahead of them and to celebrate survivorship. Beyond the Cure is a program of The National Children’s Cancer Society. Camp Make-a-Dream: Our mission is to provide a medically supervised, cost-free Montana experience, in an intimate community setting, for children, young adults and families affected by cancer. CandleLighters® Childhood Cancer Foundation: Our mission is to provide information and awareness for children and adolescents with cancer and their families, to advocate for their needs, and to support research so every child survives and leads a long and healthy life. While treatment for childhood cancer has improved drastically over the past 38 years of our organization’s existence from less than 20 percent survival to an approximate 75 percent overall five year cure rate, sadly childhood cancer remains the number one disease killer of our nation’s children. Children face aggressive treatments leaving a trail of devastation for their families. The diagnosis of a child with cancer is often at a time when the family is young and has a limited income. Often there are other small children to care for. Often one parent has to stop working to care for their sick child. The impact of having a child diagnosed with cancer is deeply felt financially, socially, and emotionally by the entire family. The needs are great and since our inception in 1970, Candlelighters has become a recognized leader both nationally and internationally in the providing pediatric cancer family support. Coping with Chemo: Coping with Chemo is a series of webisodes written by teens with cancer to help other teens dealing with cancer. Each webisode addresses a different topic — getting diagnosed with cancer, side effects of chemotherapy and other treatments, telling your friends, and celebrating your last treatment. Coping with Chemo also has an FAQ resource section to answer many of the questions you, your friends and family may have. National Childhood Cancer Foundation & Children’s Oncology Group: CureSearch unites the world’s largest childhood cancer research organization, the Children’s Oncology Group, and the National Childhood Cancer Foundation through our mission to cure childhood cancer. Research is the key to the cure. Over 50 million family caregivers are taking care of a loved one in the United States due to chronic illness, disability and injury. Of that number, 66 percent of caregivers are women. Three of four families will find themselves caring for a cancer patient. Cancer Caregiving™: This is a website entirely dedicated to various issues that relate to caregivers including caring for yourself, getting help from others, planning for the future, and managing cargiving details. Research and development for the web site was performed by HealthMark Multimedia with funding from a Multimedia Technology/Health Communication Small Business Innovation Research Grant from the National Cancer Institute, National Institutes of Health. Cancer.Net – Caregiving: Oncologist information approved by the American Society of Clinical Oncology (ASCO). Information is provided on the following topics: (i) being a caregiver, (ii) tips on caregiving, (iii) how caregivers can take care of themselves, (iv) exploring new caregiver options, (v) sharing responsibilities, (vi) caregiving at the hospital, (vii) home health care, (viii) long distance caring, and (ix) online resources re caregiving. Caregiver Hope: The new name for cancer caregivers is CO-SURVIVORS because they, too, experience the JOURNEY from the moment a loved one is diagnosed with cancer. They face a loved ones FEARS, they find their own COURAGE, they keep the FAITH for loved one as well as family, friends, and support network. They need SUPPORT and HOPE so that we will remain STRONG and SURVIVE ourselves. At the HEART of the matter is this: they need to face and EMBRACE LIFE when it CHANGES. Caregiver Hope provides caregivers with many resources to assist them in caring for a loved one. CaringBridge: CaringBridge® is a 501(c)(3) nonprofit web service that connects family and friends during a critical illness, treatment or recovery. A CaringBridge website is personal, private and available 24/7. It helps ease the burden of keeping family and friends informed. Patients and caregivers draw strength from loved ones’ messages of support. Caring.com: Caring.com was created to help you care for your aging parents and other loved ones. Our mission is to give you the information and other resources you need to make better decisions, save time, and feel more supported. Caring.com provides the practical information, easy-to-use tools, and personal support you need during this challenging time. Caring.com features original content focused exclusively on eldercare and end-of-life matters. You can connect with people who face the same challenges you do, get answers to your questions, and share advice with people in similar situations caring for loved ones. Caring.com’s offices are in San Mateo, California. The company was founded in 2007. Family Caregiver Alliance: Founded in 1977, Family Caregiver Alliance was the first community-based nonprofit organization in the country to address the needs of families and friends providing long-term care at home. Long recognized as a pioneer in health services, FCA now offers programs at national, state and local levels to support and sustain caregivers. Family Caregiving 101: The National Family Caregivers Association (NFCA) and the National Alliance for Caregiving (NAC) – leaders in the movement to better understand and assist family caregivers — have joined together to recognize, support and advise this vital group of Americans. Family caregivers have been part of America’s health care picture for a very long time. Yet, their roles and special needs are just being acknowledged. Lotsa Helping Hands: Lotsa Helping Hands was created to support family caregivers and volunteers by empowering their circles of community who are eager to help those in need. The organization’s mission is to provide the communication resources facilitating a world where caregivers feel empowered to ask for help, and in so doing, improve their own health and quality-of-life; volunteers can become part of the solution when family, friends, neighbors or colleagues are in need of help, and community becomes a recognized way to find meaning in both giving and receiving. National Cancer Institute – When Someone You Love is Being Treated For Cancer: The National Cancer Institute (NCI) heard from many caregivers about things they wish they had known early on. NCI collected their tips in this booklet. Some of the tips seem simple, but they may not always be easy to do. Use this booklet in whatever way works best for you. You can read it from front to back. Or you can just refer to different sections as you need them. No two people are alike. Some chapters of this booklet may apply to you while others may not. Or you may find some sections that are more useful to you later. National Family Caregivers Association: The National Family Caregivers Association educates, supports, empowers and speaks up for the more than 50 million Americans who care for loved ones with a chronic illness or disability or the frailties of old age. NFCA reaches across the boundaries of diagnoses, relationships and life stages to help transform family caregivers’ lives by removing barriers to health and well being. Share The Care -How to Organize A Group To Care For Someone Who Is Seriously Ill: Since its development in 1995, Share The Care™ has become a model for caregiver groups all over the country. It has been used as a model by universities, medical establishments and community groups. It has been recognized by such notable publications as: The Washington Post, Good Housekeeping and Modern Maturity. The developers of the model were invited to write a piece for the website for Bill Moyer’s program On Our Own Terms. The success of the Share The Care™ model has given birth to ShareTheCaregiving™ , Inc. Its mission is to make this collaborative approach to caregiving available to caregivers everywhere and to document the experiences of past and present groups in order to improve its systems and gain valuable learning that can benefit new groups in the future. Strength For Caring: The Johnson & Johnson Caregiver Initiative is a pioneer in the emerging field of family caregiver support and StrengthForCaring.com (SFC) is the cornerstone of this important program. SFC is a comprehensive website designed to provide family caregivers with a broad range of expert content and information, an emerging on-line community, daily inspiration, and much needed support. The Caregiver Initiative will launch new programs in the coming months. We are proud to work with other caregiving organizations across America to support the more than 54 million family caregivers who provide care for their loved ones each and every day. SFC contains four main sections: (i) Just For Caregivers, (ii) Caring For Others, (iii) Connecting Caregivers, and (iv) a Resource Center. Centerwatch Clinical Trial Listing Service™: Founded in 1994, CenterWatch is a trusted source and global destination for clinical trials information for both professionals and patients. CenterWatch, a Boston-based publishing and information services company focusing on the clinical research industry, is a business of Jobson Medical Information, LLC. The website provides proprietary data and information analysis on clinical trials through a variety of newsletters, books, databases, and information services used by pharmaceutical and biotechnology companies, CROs, SMOs, and investigative sites involved in the management and conduct of clinical trials. As a pioneer in publishing clinical trials information, CenterWatch was the first Internet site to publish detailed information about active clinical trials that could be accessed by patients and their advocates. Today, it has one of the largest databases of clinical trials actively seeking patients on the Internet. ClinicalTrials.gov – A Service of the U.S. National Institutes of Health: ClinicalTrials.gov offers up-to-date information for locating federally and privately supported clinical trials for a wide range of diseases and conditions. A clinical trial (also clinical research) is a research study in human volunteers to answer specific health questions. Interventional trials determine whether experimental treatments or new ways of using known therapies are safe and effective under controlled environments. Observational trials address health issues in large groups of people or populations in natural settings. ClinicalTrials.gov currently contains 73,166 trials sponsored by the National Institutes of Health, other federal agencies, and private industry. Studies listed in the database are conducted in all 50 States and in 167 countries ClinicalTrials.gov receives over 40 million page views per month 50,000 visitors daily. The U.S. National Institutes of Health (NIH), through its National Library of Medicine (NLM), has developed this site in collaboration with the Food and Drug Administration (FDA), as a result of the FDA Modernization Act, which was passed into law in November 1997. Coalition of Cancer Cooperative Groups: The Coalition of Cancer Cooperative Groups is a unique nonprofit organization with one mission, improving patient awareness of clinical trials, facilitating access, and promoting participation. Through innovative programs and services, the Coalition examines and confronts key issues impeding cancer research. The Coalition was established in 1997 to address its members’ shared goal of improving the clinical trials system. Today, the Coalition is comprised of members from 10 National Cancer Institute-sponsored Cooperative Groups, the country’s leading patient advocacy organizations, and thousands of oncology and cancer research specialists. The Coalition also works with its partners in the healthcare industry to streamline and promote cancer clinical trials in both the public and private sectors. Emerging Med: After months of interviews with patients, advocates, caregivers and researchers, EmergingMed was founded in January 2000 to offer patients and their families a fast and easy way to find and understand available treatment options. The website officially launched in December 2000 and has been steadily increasing the number of patients matched to clinical trials since then. EmergingMed’s goal is to become the central repository of clinical research information in the United States and to provide a fast, simple way for people with serious illnesses to search for and gain access to clinical trial options. National Cancer Institute – Clinical Trials Home Page: Extensive online datebase that allows you to search NCI’s list of 8,000+ clinical trials now accepting participants. You can browse recent clinical trial results by type of cancer or topic. Also, you can learn what clinical trials are, how they work, why they’re useful, patient care costs, and more. Find information about major NCI-supported clinical trials, open or closed to new participants. And, find information for research teams about data and safety monitoring, how to list a clinical trial in PDQ®, online education, and more. ResearchMatch: ResearchMatch.org has a simple goal – to bring together two groups of people who are looking for one another: (1) people who are trying to find research studies, and (2) researchers who are looking for people to participate in their studies. It is a free and secure registry that has been developed by major academic institutions across the country who want to involve you in the mission of helping today’s studies make a real difference for everyone’s health in the future. The convenient and user-friendly registry employs a familiar research matching model that is complementary to Clinicaltrials.gov. One key difference is that ResearchMatch places the burden of connecting the right volunteers with the right study on the researchers, whereas Clinicaltrials.gov asks volunteers to identify the trials that could work for them. TrialCheck®: TrialCheck® is a leading cancer clinical trial search engine brought to you by the Coalition of Cancer Cooperative Groups. TrialCheck® provides health care professionals with accurate, comprehensive information associated with thousands of cancer clinical trials. Through TrialCheck® you can: (i) screen clinical trials appropriate for your patients; (ii) search for specific cancer clinical trials via protocol ID and/or title; (iii) search for performance sites conducting trials; and (iv) search for physician roster data. TrialCheck® also allows defined users to enter their institution-specific trials. Once entered, these trials are available for viewing at the institution. In addition, these trials are included in searches conducted locally, including screening patients for eligible trials. For further information on this capability, register for TrialCheck®, then click on the TrialCheck® Coordinator link. About.com: Cancer – Coping With Cancer: Provides articles that describe the emotional toll that cancer has on patients along with coping tips. A great resource for patients or friends/family members. Cancer And Careers: The truth is, work doesn’t stop once you’ve been diagnosed with cancer. Over 80% of cancer survivors return to work after treatment. And once diagnosed, work becomes even more important. Cancer and Careers is committed to changing the face of cancer in the workplace by providing a comprehensive website, free publications, and a series of support groups and educational seminars for employees with cancer. Cancer and Careers’ Living and Working with Cancer workbook, available free of charge in English and Spanish, has been distributed to more than 55,000 cancer survivors in all 50 states, Canada, England, India, South Africa and Spain. 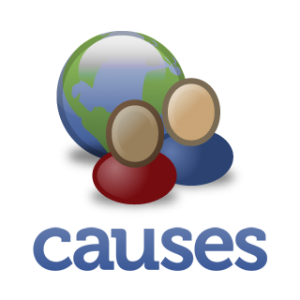 Cancerandcareers.org informs more than 120,000 visitors per year, providing essential tools and information for employees with cancer. In addition, the Managing Through Cancer Pioneers program helps employers face the challenge of cancer in the workplace. Member companies enhance their own workplace culture, while also demonstrating their commitment to setting a standard of support for all employees battling the disease. Cancer and Careers is a program of the CEW Foundation, the charitable arm of Cosmetic Executive Women, Inc., a New York-based non-profit trade organization of 4,000 executives in the beauty, cosmetics, fragrance and related industries. Chemocare.org – Care During Chemotherapy & Beyond: Chemo Care is your source for chemotherapy, chemotherapy side effects and chemotherapy drug information. Chemocare.com is a program of the Scott Hamilton CARES initiative. The Scott Hamilton CARES Initiative (CARES) was founded in 1999 as a partnership between Scott Hamilton, Olympic ice-skating champion and cancer survivor, and the Cleveland Clinic Taussig Cancer Center where he was treated. CARES was created to promote cancer awareness while raising significant funds for cancer research. Cleaning For A Reason Foundation: Fighting cancer is difficult enough, but living with it is even tougher – and that’s where the Cleaning for A Reason Foundation steps in. This newly formed nonprofit offers free professional housecleaning, and maid services to improve the lives of women undergoing treatment for cancer. Gilbert Guide: The Gilbert Guide offers the most extensive and helpful source of senior care articles, tools and provider directories in the U.S. The Gilbert Guide Learning Center covers topics such as homecare, senior housing, health & wellness, finance & legal, and end of life. The Gilbert Guide video series addresses (i) aids to daily living at home, (ii) health conditions & treatments, (iii) limited mobility exercises, (iv) limited mobility activities, (v) cancer treatment, (vi) cancer recovery, (vii) legal documents, and (viii) pain management. Heaven’s Door Oncology & Wellness Foundation: Heaven’s Door, a non-profit foundation is one of the first free oncology spa and massage advocacy center for cancer survivors in the United States, founded by Dee Evans. Ms. Evans is a ten year Stage IIIC ovarian cancer survivor and a breast cancer survivor. Heaven’s Door is now headquartered in Springfield, MO with new branches coming in 2010: NYC, Midwest Quad Cities and San Francisco. The mission of Heaven’s Door is to assist those with advanced terminal illnesses, to maintain dignity, function and a high quality of life throughout their course of illness. Heaven’s Door is more than just a non-profit. This is a life choice for Ms. Evans, to provide a respite from medical settings, chemotherapy and radiation treatments; to provide a retreat for adult and pediatric patients dealing with cancer. Heaven’s Door will hold weekly and monthly events: “Spa Evenings” with classical music and aromatherapy; “Ladies’ Spa Days” consisting of oncology spa treatments and high teas or educational luncheons; “Kids Days” for leukemia and lymphoma patients and their parents. No cancer patient will be turned away. It will offer ultra-chic, ultra-comfortable settings with the finest spa linens and equipment. Heaven Door’s specially certified oncology aestheticians volunteers will offer the latest in skin treatments, body treatments and anti-aging therapies. Heaven’s Door’s goal is to promote a high quality accommodation for our visitors and their caregivers, free of charge. If you’re interested in learning more about the Heaven’s Door Oncology and Wellness Foundation– go to its website at http://www.heavensdooropen.com or call (417) 429-2259. Look Good, Feel Better: Look Good…Feel Better (LGFB) is a free, non-medical, brand-neutral, national public service program created to help individuals with cancer look good, improve their self-esteem, and manage their treatment and recovery with greater confidence. The Look Good…Feel Better program — developed in 1989 by the Personal Care Products Council Foundation, a charitable organization established by the Personal Care Products Council — actually began with one patient. With such a profound result, the Personal Care Products Council recognized the opportunity for its industry to help more women maintain self-esteem and face cancer treatment with greater confidence. Kavanaugh presented the idea to the Personal Care Products Council membership — the nation’s cosmetic industry leaders — who immediately offered funding and cosmetics. Next, the American Cancer Society (ACS) enthusiastically joined the effort, providing a vital national network to assist women seeking information and access to the program. Finally, the National Cosmetology Association (NCA) signed on as the third partner, encouraging its member cosmetologists to volunteer their services. The program — descriptively dubbed “Look Good…Feel Better” — launched with two groups sessions at Memorial Sloan-Kettering Cancer Center in New York and Georgetown University’s Lombardi Cancer Center in Washington, D.C., in 1989. Today, LGFB group programs are held in every state, the District of Columbia, and Puerto Rico with products donated by Personal Care Products Council member companies. Teen and Spanish programs, self-help mailer kits, online programs, and a 24-hour hotline are now offered — as well as numerous independent international LGFB programs across the globe. For international sisters programs, click here. YoungCancerSpouses: The mission of YoungCancerSpouses is to bring together young spouses of adults with cancer to share information, support, and experiences. The needs of young spouses of cancer patients often go unrecognized and unappreciated. The emotional and logistical issues a young spouse of a cancer patient faces are vastly different from spouses of older cancer patients that dominated oncology units and support groups. General family support groups are likewise inadequate at addressing the needs of a young cancer spouse. YoungCancerSpouses provides a source of practical information gained from our experience as young cancer spouses. We also strive to bring together other young cancer spouses to share ideas, lend support, and validate their wide range of feelings and emotions so they can find comfort in an understanding community. Chemocare.com – Chemotherapy Drugs: Founded by Scott Hamilton, U.S. Olympic Gold Medalist figure skater, Chemocare.com provides the latest information about chemotherapy to patients and their families, caregivers and friends. Drugs.com – Drug Information Online: Drugs.com is the most popular, comprehensive and up-to-date source of drug information online. Providing free, accurate and independent advice on more than 24,000 prescription drugs, over-the-counter medicines & natural products. MedlinePlus – Drugs, Supplements & Herbal Information: MedlinePlus directs you to information to help answer health questions. MedlinePlus brings together authoritative information from National Library of Medicine, the National Institutes of Health, and other U.S. government agencies and health-related organizations. The hyperlink directs you to the MedlinePlus information relating to drugs, supplements & herbs. The Merck Manuals – Drugs: Merck is committed to bringing out the best in medicine. As part of that effort, Merck has created The Merck Manuals, a series of healthcare books for medical professionals and consumers. As a service to the community, the content of The Manuals is now available in enhanced online versions as part of The Merck Manuals Online Medical Library. The Online Medical Library is updated periodically with new information, and contains photographs, and audio and video material not present in the print versions. The hyperlink directs you to the portion of the Merck Manual that addresses drugs. National Cancer Institute Drug Information Summaries: National Cancer Institute’s (NCI’s) drug information summaries provide consumer-friendly information about drugs that are used to treat cancer or conditions related to cancer. There are summaries for individual drugs and for commonly used drug combinations. Summaries for individual drugs cover the uses of the drugs, research results, possible side effects, approval information, and ongoing clinical trials. The NCI drug information summary includes brand and generic drug names for individual drug summaries. For each brand name, the generic name is shown in parentheses. Summaries for drug combinations include the common abbreviation for each combination, a list of the drugs that make up the combination, and what the combination is used for. When a summary for any of the individual drugs in a combination is available, a link to that summary is included. U.S. Food & Drug Administration (FDA): The FDA is responsible for protecting the public health by assuring the safety, efficacy, and security of human and veterinary drugs, biological products, medical devices, our nation’s food supply, cosmetics, and products that emit radiation. America’s Health Insurance Plans: America’s Health Insurance Plans (AHIP) is the national association representing nearly 1,300 member companies providing health insurance coverage to more than 200 million Americans. Our member companies offer medical insurance, long-term care insurance, disability income insurance, dental insurance, supplemental insurance, stop-loss insurance and reinsurance to consumers, employers and public purchasers. AHIP provides a unified voice for the community of health insurance plans. A major policy goal for our members is to expand access to high quality, affordable coverage to all Americans. AHIP develops innovative proposed solutions to promote universal coverage, raises the bar on quality, and makes health care services more affordable. 3. Advocating on behalf of cancer patients who continue to bear financial burdens associated with the costs of cancer treatment and care. Centers For Medicaid & Medicare Services, U.S. Depart. of Health and Human Resources: Centers For Medicaid and Medicare Services is the US federal agency which administers Medicare, Medicaid, and the Children’s Health Insurance Program. Lazarex Cancer Foundation: Lazarex Cancer Foundation (LCF) builds a bridge to hope, dignity and life for cancer patients and their families. LCF provides financial assistance to defray the costs associated with patient participation in FDA clinical trials. Additionally, LCF helps patients navigate their clinical trial options and provide community education and outreach services. LCF’s mission is to provide resources for cancer patients who’ve been told they have no other options, but who are not yet done with their journey in life and refuse to give up now. Medicare Rights Center: The Medicare Rights Center is a national, nonprofit consumer service organization that works to ensure access to affordable health care for older adults and people with disabilities through counseling and advocacy, educational programs and public policy initiatives. NeedyMeds.com: The mission of NeedyMeds has been, since its inception, to make information about assistance programs available to low-income patients and their advocates at no cost. The website, NeedyMeds.com, is the face of the organization. Databases such as Patient Assistance Programs and Disease-Based Assistance, government programs and other types of assistance programs are the crux of the free information we offer online. In response to the growing needs of advocates and patients, NeedyMeds recently added a free clinics database to its website and started an online forum, NeedyMeds Forums, for patient advocates. The scope of NeedyMeds has grown to include much more information than just the information on the website. NeedyMeds has developed software, PAPRxTracker, to help small-to-medium offices manage their PAP patients. Patient Advocate News (PAN) is a bi-monthly electronic newsletter available at no cost for advocates. And, NeedyMeds does outreach through the Volunteer Project, the mailing of thousands of brochures on how to find assistance and affiliations with other non-profits. NeedyMeds is funded by small grants, the sale of PAPRxTracker, revenue from ads on the homepage and syndication of some of information. NeedyMeds also works with the patient assistance programs of several pharmaceutical distributors. Partnership For Prescription Assistance: The Partnership for Prescription Assistance (PPA) helps qualifying patients without prescription drug coverage get the medicines they need for free or nearly free. PPA’s mission is to increase awareness of patient assistance programs and boost enrollment of those who are eligible. The organization offers a single point of access to more than 475 public and private programs, including nearly 200 offered by pharmaceutical companies. PPA has helped millions of Americans get free or reduced-cost prescription medicines. RxHope™: RxHope is exactly what its name implies…a helping hand to people in need in obtaining critical medications that they would normally have trouble affording. RxHope acts as your advocate in making the patient assistance program journey easier and faster by supplying vital information and help. As an integral part of D2 Health, RxHope is a highly professional team of caring and concerned people dedicated to making the patient assistance process as easy and comfortable as possible for the patient, the healthcare provider and the pharmaceutical company. It is not by accident that RxHope is the largest independent web-based patient assistance resource, processing, fulfilling and tracking over 5,000 requests each month. Bright Pink: Bright Pink is a national non-profit organization that provides education and support to young women who are at high risk for breast and ovarian cancer. Bright Pink arms young women with knowledge, options and a great attitude, and offer companionship and empathy during their journey. The organization empowers women to take control of their breast and ovarian health and in turn, grant them the freedom and peace of mind to live a beautiful and fulfilling life. To provide women with resources to determine whether they are at high risk for breast and ovarian cancer due to genetic predisposition, family history, or other factors. To provide support for women as they pursue these options. To raise awareness of hereditary breast and ovarian cancer. Hereditary Breast & Ovarian Cancer Foundation: HBOC’s sole focus is on familial breast and ovarian cancer. HBOC is the national organization which is devoted exclusively to awareness, education, support and research in the domain. HBOC seeks to fulfill its mission by working in cooperation with university or hospital based programs in cancer genetics, oncology, surgery, gynecology and plastic and reconstructive surgery. Currently HBOC is exclusively volunteer run. All donated funds are used for the benefit of our charitable programs. HBOC is a registered charitable organization with a head office in Montreal, Canada. HBOC’s charity registration number is 88346 5304 RR0001. HBOC is governed by a volunteer Board of Directors which meets periodically throughout the year. National Breast and Ovarian Cancer Connection (NBOCC): The National Breast and Ovarian Cancer Connection raises awareness and educates the general public about “The Link” between breast and ovarian cancer, by teaching all women about their inherent risks and how to improve their chances of survival through early detection and research developments (1-443-822-5125). Coping® With Cancer: Coping® With Cancer is America’s consumer magazine for people whose lives have been touched by cancerTM. Now in its 22nd year of providing knowledge, hope and inspiration, its readers include cancer patients (survivors) and their families, caregivers, healthcare teams and support group leaders (paid subscription required). CURE – Cancer Updates, Research & Education: CURE is a quarterly magazine with an annual Resource Guide and special issue, that combines the science and humanity of cancer for those who have to deal with it on a daily basis. CURE provides scientific information in easy-to-understand language with equally understandable illustrations. It is published by CURE Media Group, LP. heal: living well after cancer: Heal: Living Well After Cancer magazine is for cancer survivors from the day treatment ends, and for the rest of their lives (paid subscription required). Topics covered by Heal include: (i) cancer’s after-effects; (ii) optimal nutrition and fitness, (iii) faith and belief after cancer; (iv) financial security; (v) post-cancer employment and insurance strategies; (vi) survivor stories; (vii) cancer-related advocacy, (viii) the new ‘normal’, (ix) sharing advice and survivor strategies; and (x) achieving life goals. NIH MedlinePlus: This magazine is produced by NIH, the National Library of Medicine, and the Friends of the National Library of Medicine. Subscriptions are available free of charge. Its purpose is to present you with the best in reliable, up-to-date health information, and bring you the latest breakthroughs from NIH-supported research. The magazine features people from all walks of life talking about how they’ve handled their health challenges. Standup2Cancer (SU2C) Magazine: In the first week of publication, SU2C Magazine is featuring content central to the theme and spirit of the entire Stand Up To Cancer initiative: awareness, education, entertainment, opinion, irreverence, humanity, and progress. You’ll find out about the hallmarks that make over 200 forms of cancer one disease, and you’ll find out why it’s time we stand as one against it. We’ll introduce you to the project’s practical poetry. You’ll get a taste of the instructive wit, personal narratives, and strong, informed opinions that will be a persistent presence in these pages. The magazine’s inaugural postings provide both an introduction and a head-first dive into the meeting place of ideas that standup2cancer.org will offer. Women & Cancer: Women & Cancer is the premier women’s health and wellness magazine, delivering breaking news about topics critical to women making informed decisions about their own and their family’s health and emphasizing cancer prevention, early detection, management, and survivorship. Food, Nutrition, Physical Activity and the Prevention of Cancer: a Global Perspective, World Cancer Research Fund (WCRF) & the American Institute for Cancer Research (AICR): The production of the WCRF/AICR Second Expert Report has been a huge undertaking for the WCRF global network, involving over 100 scientists from 30 different countries. WCRF/AICR commissioned and funded the report, but the content has been driven by an independent panel of 21 world renowned scientists. The Expert Panel worked for five years to assess the research and their conclusions and recommendations are firmly based on the scientific evidence. Caring Connections: Caring Connections, a program of the National Hospice and Palliative Care Organization (NHPCO), is a national consumer and community engagement initiative to improve care at the end of life, supported by a grant from The Robert Wood Johnson Foundation. Caring Connecitions provides free resources and information to help people make decisions about end-of-life care and services before a crisis. It also brings together community, state and national partners working to improve end-of-life care through a national campaign called It’s About How You LIVE. National Hospice & Palliative Care Organziation: The National Hospice and Palliative Care Organization (NHPCO) is the oldest and largest nonprofit membership organization representing hospice and palliative care programs and professionals in the United States. The organization is committed to improving end-of-life care and expanding access to hospice care with the goal of profoundly enhancing quality of life for people dying in America and their loved ones. The Center does not accept donations from organizations that profit from health care. 80% of funding comes from individual or private donors. Services are provided at no cost. The Center is affiliated with the University of Wisconsin Schools of Law, Medicine & Public Health, Nursing, and Pharmacy. Patient Advocate Foundation: Patient Advocate Foundation is a national non-profit organization that seeks to safeguard patients through effective mediation assuring access to care, maintenance of employment and preservation of their financial stability relative to their diagnosis of life threatening or debilitating diseases. Granulosa Cell Tumor of the Ovary Foundation: The Granulosa Cell Tumor of the Ovary Foundation (GCTOF) raises monies for research related to this rare form of ovarian cancer. GCTOF is also committed to survivor support while raising awareness and hope with respect to the disease. Granulosa Cell Tumour Foundation New Zealand: The Granulosa Cell Tumour Foundation of New Zealand (GCTFNZ) has two primary missions: (1) to raise funds for research that investigates the specific nature of granulosa cell tumors (GCT) of the ovary, and (2) support GCT patients by publicising recent research findings that may be relevant to GCT. Cancer & Fertility Society: The Cancer and Fertility Society is dedicated to pioneering reproductive techniques that give cancer patients more effective and less invasive fertility options. These include mini-in-vitro fertilization, which utilizes a less aggressive form of reproductive hormone treatment, and egg preservation, which allows cancer patients to preserve their eggs before receiving chemotherapy. Most important, during the past few years the Cancer and Fertility Society has made crucial breakthroughs in organ transplantation in humans. fertileHOPE: Founded in October 2001, Fertile Hope is a national, nonprofit organization dedicated to providing reproductive information, support and hope to cancer patients and survivors whose medical treatments present the risk of infertility. The organization was founded by cancer survivor Lindsay Nohr Beck as a result of her own endeavors to preserve her fertility in the face of critical cancer treatments. For more information about Lindsay, please read the Founder’s Note. Fertile Hope is a non-profit organization headquartered in New York City. Support – Provide support to help patients cope with the physical and emotional issues associated with infertility, fertility preservation, assisted reproduction, family planning, genetic counseling, pregnancy, adoption and other related issues. My Vision: My Vision is a breast cancer organization for women of reproductive age. Specifically, we advocate fertility preservation prior to receiving cancer treatments or prophylactic surgeries that can cause sterility for women between the ages of 18 and 45. We also offer breast cancer patients reduced in vitro fertilization fees and donor sperm selection packages. We are committed to supporting every breast cancer patient who dreams of becoming a mother. Founded by a 31-year-old breast cancer patient a few weeks after her own diagnosis, My Vision is a non-profit organization pending 501(c)(3) status. We rely on the support of private donors to help us protect the vision of each young woman’s future when she is diagnosed with breast cancer or learns she carries the breast cancer gene. The Oncofertility Consortium: The Oncofertility Consortium is a national, interdisciplinary initiative designed to explore the reproductive future of cancer survivors. It is supported by the National Institutes of Health Interdisciplinary Research Consortium Grant (NIH Grant: U54RR024347). Survival rates among young cancer patients have steadily increased over the past four decades in part because of the development of more effective cancer treatments. Today, both women and men can look forward to life after cancer, yet many may face the possibility of infertility as a result of the disease itself or these lifesaving treatments. The Oncofertility Consortium addresses the complex health care and quality-of-life issues that concern young cancer patients whose fertility may be threatened by their disease or its treatment. The Consortium is supported by a grant from the National Institutes of Health and represents a nationwide, interdisciplinary, and interprofessional network of medical specialists, scientists, and scholars who are exploring the relationships between health, disease, survivorship and fertility preservation in young cancer patients. Their work and its findings may also extend to patients who have been diagnosed with other serious diseases and who must undergo fertility-threatening treatments. On the website, you will find information about Oncofertility and the work of the Oncofertility Consortium, as well as resources that will help you navigate the complex fertility issues facing patients with cancer and other serious diseases. MyOncofertility.org: A patient education resource provided by the Oncofertility Consortium. Pregnant With Cancer: The Pregnant With Cancer Network is an organization dedicated to providing women diagnosed with cancer while pregnant with information, support and hope. Dream Foundation (Adults): Dream Foundation, founded in Santa Barbara in 1994 by Thomas Rollerson, is the first national wish granting organization for adults suffering life-limiting illness. The mission of the Dream Foundation is to enhance the quality of life for individuals, and their families, at the end of life’s journey. Dream Foundation helps adults find peace and closure with the realization of a final wish. The work of Dream Foundation is made possible, in part, by a grant from the Odyssey VistaCare HealthCare Foundation. The Society Memorial Sloan-Kettering Cancer Center “Dream Team” (Children & Adults): The Society has played a vital role in the Center’s success for more than 60 years. Founded in 1946 by a small number of dedicated women, The Society is now a flourishing volunteer organization whose Administrative Board of 100 women and men take part in more than 20 committees dedicated to promoting the well-being of patients, supporting cancer research, and providing public education on the prevention, early detection, and treatment of cancer. In addition, the general members of The Society, numbering an additional 400 people, show their support for the organization’s goals through their membership and participation in Society programs, in addition to introducing friends to The Society. Established in 1988, The Society’s Dream Team seeks to fulfill the dreams of MSKCC’s adult patients. The wishes are brought to the team’s attention by the Center’s social workers, physicians,and nurses, and run the gamut — from a simple request for a robe and slippers, to the more complex, such as bringing together family members from around the world. Dream Team members — who remain anonymous — use their own resources to make patients’ dreams come true. Gilda Radner Familial Ovarian Cancer Registry: An international registry of families with two or more relatives with ovarian cancer. In addition to ovarian cancer research, the Registry offers an 1-800-OVARIAN Hotline, Newsletter, and ovarian cancer informational pamphlets. The Ovarian Hotline is answered by trained cancer information specialist. The Gilda Radner Familial Ovarian Cancer Registry is pursuing research as to causes of familial ovarian cancer. The Registry’s goals are to identify new genes associated with familial ovarian cancer, thereby improving genetic and psychosocial counseling for individuals and families and to characterize lifestyle choices (i.e., oral contraceptive use, hormone replacement therapy, number of pregnancies) that reduce ovarian cancer risk in women who may be more susceptible to the disease. The Registry hopes to acquire information that will lead to better methods for detecting ovarian cancer, for reliable predictive testing for cancer predisposition and ultimately, preventing the disease in future generations. The Registry is collecting family histories, medical records and biosamples (blood) from ovarian cancer patients and their family members. Oregon Ovarian Cancer Registry (OOCR), Oregon Health & Science University Cancer Institute (The registry is not limited to Oregonians): The OOCR is the first such registry in Oregon and is one of the few in the nation. OHSU also has registries for colorectal and pancreatic cancers. Although based in Oregon, the OOCR will accept information from any person who qualifies, regardless of residence. In order to enroll in the registry, a person must be a member of a family with at least two individual occurrences of ovarian cancer and fill out a questionnaire about their family history. The registry will also accept tissue and blood samples from some registrants. American Cancer Society – Circle of Sharing: Circle Of Sharing™ helps cancer patients and their caregivers get personalized information about the disease, and share that information with family and friends. You can create a Circle Of Sharing™ for yourself, or create one on behalf of someone you’re caring for. It’s all done through Microsoft® HealthVault™, a secure Website that will store your personal health information. Association of Cancer Online Resources: If you are looking for an online community for women with ovarian cancer, there are two support groups that you should check out.ACOR.org is a non-profit organization that sponsors online cancer support groups. Subscription to both lists is free. The Ovarian Problems Discussion List is a group for information and support that is open to survivors, caretakers and friends with ovarian cancer and related problems. Communication is by e-mail, with a central e-mail address that subscribers can use to reach all of the list members. Started in 1995, the list has more than 1,300 subscribers and members say it has been a helpful experience with a lot of shared information. The 2Young-4Gyn-Cancer list is newer and open to women with gynecological cancers, although most of the members have ovarian cancer. It is more of a social support group for younger women and has about 55 subscribers. Young ovarian cancer survivors are encouraged to join this as well as the main list. There is no pre-determined age limit. To join either list, go to http://www.acor.org and click on “mailing lists.” Click on “full listing of ACOR’s public mailing lists” to get an alphabetical listing. Click on the list you want, and then on “join or leave the list (or change settings).” Fill in your name and e-mail address, and click on “join the list.” If you need to reach the list managers, write to: (i) ovarian-request@listserv.acor.org, or (ii) 2Young-4Gyn-Cancer-request@listserv.acor.org. Cancerversary: Cancerversary is a community that connects cancer survivors and their family members, caregivers and friends by sharing a common yet distinctive experience – living with, through and beyond cancer. On this site you can create a cancerversary page to tell your own story, honor a loved one, or pay tribute to someone you’ve lost. Wendy Harpham is a doctor of internal medicine, cancer survivor, and award-winning and best-selling author. She is also a public speaker, patient advocate, and mother of three. Her books and lectures discuss: (i) healthy survivorship; (ii) healing doctor-patient relationships; (iii) recovery and late effects after cancer; (iv) raising children when a parent has cancer; and (v) finding happiness in hard times. Click here to view a video about Wendy Harpham. Kara Foundation: Established in 2007, the Kara Foundation recognizes the financial hardship placed upon young adult oncology patients who must relocate to major comprehensive cancer centers for treatment. Presently involved in a long-term project with Johns Hopkins, named Kara’s Place, the organization’s purpose is to raise awareness and financial support for the long-term residential needs of young adults and their families who relocate for cancer treatment. International Union Against Cancer: UICC unites 298 member organizations in 97 countries in the global fight against cancer. National Breast and Ovarian Cancer Centre (NBOCC)(Australia): National Breast and Ovarian Cancer Centre (NBOCC) is Australia’s independent national authority and information source on breast cancer and ovarian cancer. Funded by the Australian Government, NBOCC works in partnership with health professionals, cancer organisations, researchers, governments and those diagnosed to improve outcomes in breast and ovarian cancer. Granulosa Cell Tumour Foundation New Zealand (New Zealand): The Granulosa Cell Tumour Foundation of New Zealand (GCTFNZ) has two primary missions: (1) to raise funds for research that investigates the specific nature of granulosa cell tumors (GCT) of the ovary, and (2) support GCT patients by publicising recent research findings that may be relevant to GCT. Ovarian Cancer Action logo under the banner of Ovarian Cancer Action, we campaign to raise awareness of the risk factors and symptoms of ovarian cancer amongst the general public and to bring the disease onto the national agenda, raise funds for a dedicated ovarian cancer research unit, and provide opportunities for patients and public to learn more about ovarian cancer, and the developments taking place in understanding of the disease, and to have their voice heard. Target Ovarian Cancer (U.K.): Target Ovarian Cancer is dedicated to achieving a long and good life for every woman diagnosed with ovarian cancer in the United Kingdom, and working to improve diagnosis and treatment of this disease.